Can Old Vegetable and Flower Seeds Still Be Planted? Seed packets you purchase often contain more seeds than you can plant in one season, and over time you may have many partial packets of seeds without knowing just how old they really are. You might rightly wonder if they will germinate (sprout) again if you plant them. Do seeds go bad with time, or can you plant them no matter how old they are? The answer is, yes, seeds will eventually go bad and no longer germinate, but it can take quite a long time. There is a good chance that those old seed packets will have a high percentage of seeds that will germinate just fine. Most seeds, though not all, will keep for at least three years while maintaining a decent percentage of germination. And even a group of very old seeds may have 10 or 20 percent that still sprouts. Your old seeds will stand the best chance of germinating if they have been stored correctly. 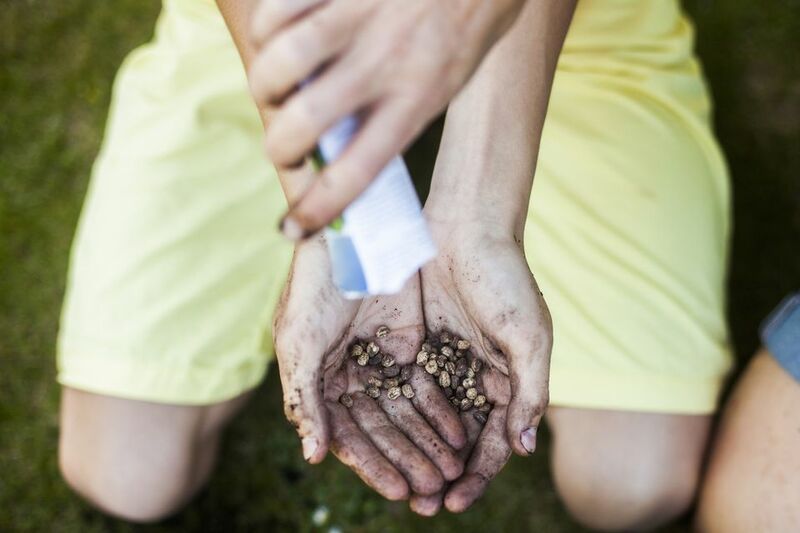 All seeds will store most effectively in cool and dry conditions, so you should be wary of any seeds that are stored in opposite conditions—warm and moist. When you examine seeds, discard the entire packet if they show signs of mold or another fungus. Many commercial seed packets may have a "use by" date printed on them. Don't take this date too seriously—the seed manufacturers use this date to ensure that customers experience a large percentage of germination, and many seeds may remain viable for many years after the date printed on the packet. But the printed date will give you a sense of how old the seed packet is. If you are only a year or two beyond this date, there's a good chance most of the seeds will still germinate when planted. But if the seed pack is six years old or more, expect to have a much lower percentage of germination. Going forward, proper storage procedure is to date the seed packet when you buy it, to ensure that you'll know exactly how old it is when you reach for it in the future. If possible, store the seeds in a sealed plastic bag containing a desiccant packet (those small packets that often come in over-the-counter medicine products), which will keep the seeds dry. If you don't have desiccant, packets of dry rice or powdered milk will also absorb air moisture. The sealed seeds can be stored in the refrigerator or another cool place, but don't freeze them. Here are some estimated shelf life figures from Oregon State Cooperative Extension, based on research. Be aware, though, that even in seed packets much older than this, some of the seeds may still sprout. Is There a Way to Test Seeds for Viability? Seeds gradually lose viability as they age, so a packet that begins with a 90 percent viability rating on the packet may, after three or four years, have a much lower viability rate. A simple seed viability test, done by placing a small group of seeds on a damp paper towel to see how many sprouts, can tell you roughly how many of the seeds in the packet will be viable when planted. If you have a group of seeds you're not sure about, you can still plant them, but space them with greater density than you would for fresh seeds. Even if only 30 or 40 percent of the seeds germinate, you can still have a successful planting. Can I Save My Own Seeds From the Plants I Grow? Saving and starting your own herb, vegetable, and flower seeds is a great way to garden for just pennies each year. Be aware, though, that seeds collected from hybrid plants may not "come true" from the seeds produced. You can still save the seeds, and those seeds will still sprout into seedlings, but it is likely that the mature plants will demonstrate different characteristics than the plants from which you took the seeds. This is because hybrid plants are created by cross-pollinating different parent varieties, and their seeds do not carry the full genetic information. This isn't always a bad thing. You may actually find that tomatoes from saved seeds, for example, are tastier than the hybrids, although they may not look as perfect. Flowers seeds saved from hybrid plants may produce some unusual and interesting offspring. If you save seeds from vegetables and fruit you grow yourself, store them in the same way that you save seed packets—in dry and cool conditions. Are You Overwatering Your Herb Garden?